Writer Paul Daley shares his views on the legacy of the Apology. Kevin Rudd’s apology to the Stolen Generations of Aboriginal and Torres Strait Islander children a decade ago endures as a totemic Commonwealth gesture towards Indigenous Australia. Little official acknowledgment – let alone an apology - had ever been conceded in Federal Parliament to the systemic wrongs inflicted upon Indigenous people. The symbolism of Rudd’s apology on 13 February 2008 remains profound today because governments have ceded so little since. Onlookers packed the public galleries. Outside Parliament House the lawns of Federation Mall were crowded with thousands of Indigenous witnesses to an apology so historically noteworthy that posterity has come to record it as The Apology. It was a rhetorically modest and implicitly legally cautious speech, to avoid claims of immediate reparation. It was freighted with allusion – though not specific concession to – many other egregious wrongs colonialism has imparted to Australia’s Indigenous peoples. Then came a flood of applause, cheers and tears. People embraced. This was a moment of immense promise, a time to reflect on the long, arduous and continuing journey towards reconciliation – or conciliation – still unrealised. 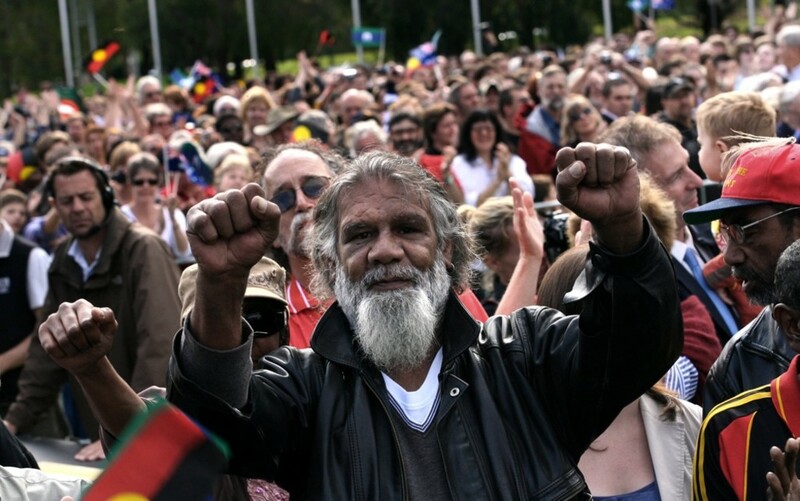 The Apology had been a long time coming, originating with the Human Rights and Equal Opportunity Commission’s 1997 report – “Bringing Them Home”. The report summarised the findings of a commission inquiry, initiated by the Keating Government in 1995, into “the past laws, practices and policies which resulted in the separation of Aboriginal and Torres Strait Islander children from their families by compulsion, duress or undue influence, and the effects of those laws, practices and policies”. 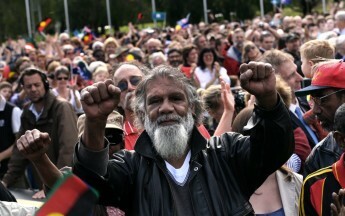 More than 500 Indigenous people made submissions. The commission recommended that governments, police, churches and non-government agencies apologise for involvement in forced separations. By 2001 all state and territory governments had apologised. But John Howard, prime minister since March 1996, refused to apologise on behalf of the Australian people. The Apology became the first item of government business in the House of Representatives after Rudd Labor’s election in November 2007. The Apology’s profound symbolism has translated into few positive improvements in the economic, social, medical and educational outcomes of Indigenous Australians, who remain among the world’s most disadvantaged people. Successive governments’ “close the gap” indicators show that some disparities between Indigenous and other Australians may be widening. Since the Turnbull Government’s rejection of a requested Indigenous voice to parliament by the 2017 Uluru meeting of national Indigenous delegates, relations between many Aboriginal leaders and the Commonwealth have been marked with heightened animosity. Meanwhile, the rate of removal of Indigenous children by various authorities has increased. In 2017, about 17,000 Indigenous children lived in circumstances of forced separation from family. In 1997, 20 per cent of children living in out-of-home care were Indigenous. In 2017 Indigenous children comprised 35 per cent of those in care. The opportunity for Indigenous advancement that stemmed from The Apology may not be entirely lost. But it is fast diminishing. Reg Edwards watched Kevin Rudd’s Apology on screens on Federation Mall, outside Parliament House, on 13 February 2008. Justin McManus, Fairfax Syndication. Paul Daley is an author, Walkley Award-winning journalist and essayist. He has over two decades experience as a political writer, defence and foreign affairs correspondent and national affairs editor for The Bulletin. His book Beersheba: A Journey Through Australia’s Forgotten War (2009), was shortlisted for the 2010-11 Prime Minister’s Australian History Prize.